Even if you're an Olympic weightlifter, 300-plus pounds can be just a wee bit much for your body to handle. Janos Baranyai found this out the hard way at the 2008 Summer Olympics in Beijing. 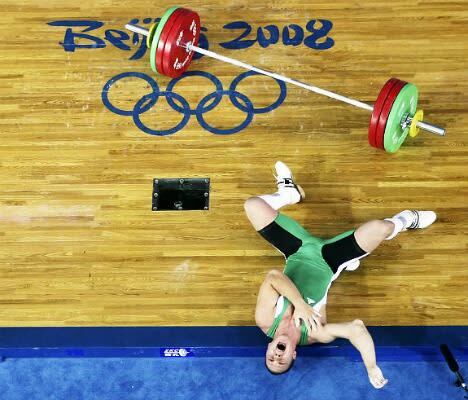 As he attempted to hoist the bar, his elbow dislocated. The injury put him out of commission for two years but he's active again and will attempt to make it to the 2012 Olympics in London. No one said moving weight was easy, fam.